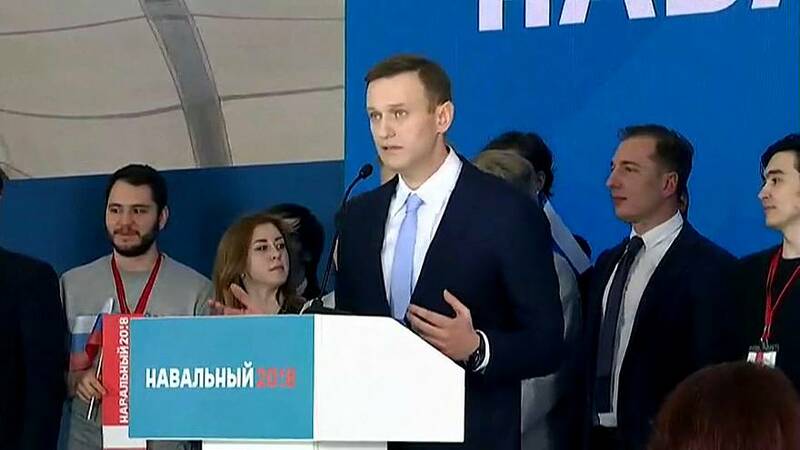 Russian opposition leader Alexei Navalny has cleared the first hurdle in his bid to take part in next year's presidential election. The fierce critic of President Vladimir Putin submitted the required documents to register as a candidate on Sunday evening. Russia's central election commision now has five days to decide his candidacy. It had previously ruled him ineligible to run after he was found guilty of embezzlement, a conviction Navalny says was politically motivated. Earlier in the day, supporters gathered in Moscow and 19 other Russian cities to secure the 500 signatures needed for his nomination and to endorse him for the presidency. Navalny is widely seen as the only politician who stands any chance of challenging Putin. The Russian president, however, remains the hot favourite to win a fourth term, which would make him the country's longest serving leader since Soviet dictator Joseph Staliln.